the hyundai elantra's face-lift for 2019 isn't just skin-deep — the compact sedan gets a host of new standard and available features along with a modest price bump. the 2019 elantra is now on sale starting at $17,985 including destination, up $150 over the outgoing model. the base price is for the entry trim level, se, which again uses a 147-horsepower, 2.0-liter four-cylinder paired with a six-speed manual transmission. the six-speed automatic option adds $1,000. new standard features on the base model include a rearview camera with 5-inch color screen (about time! ), bluetooth phone connectivity and steering-wheel audio controls. other trims that include the sel, value edition and limited come standard with the six-speed automatic. the big news for these models is a lot of new standard safety features through hyundai's smartsense safety and convenience suite. the package includes forward collision warning with automatic emergency braking, lane departure steering intervention and a driver attention warning system. likely to be the most popular trim, the elantra sel starts at $20,285 — up $550 versus the outgoing sel model. value edition trims start at $21,285, also a $550 increase. the uplevel limited model starts at $23,485, an increase of $500. the eco model's powertrain also carries over: a 128-hp, turbocharged 1.4-liter four-cylinder mated to a seven-speed dual-clutch automatic. for 2019, it sees the same upgrades and starts at $21,835 — again, slightly higher than model-year 2018 prices. 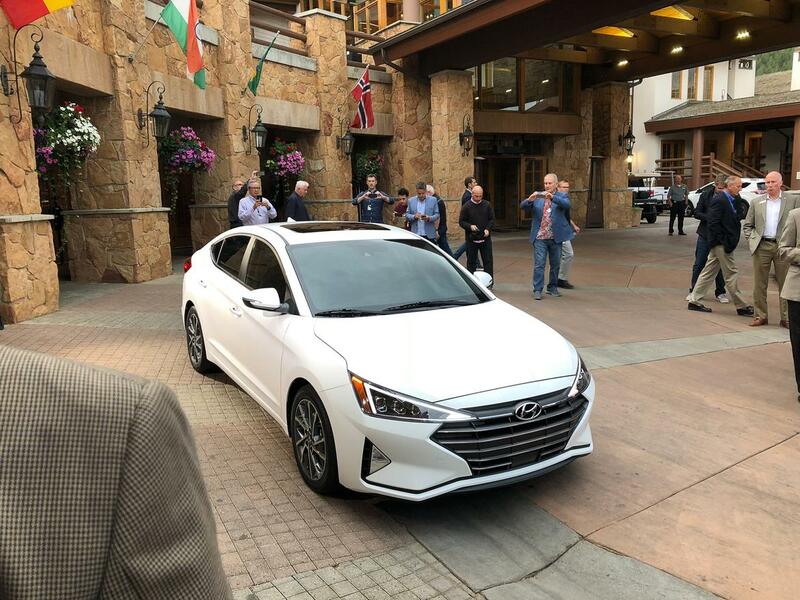 the 2019 elantra sport model sits at the top of the lineup and again comes standard with a 201-hp, turbo 1.6-liter four-cylinder and six-speed manual transmission. it starts at $23,285 this year, a $600 increase; add $1,100 for the automatic transmission. the addition of active standard safety features on all but the base model is welcome news, but some other automakers have done better. honda, for example, just announced that all 2019 civics will get the honda sensing suite of safety features standard, though the automaker has not yet released pricing. toyota has equipped every corolla with forward collision warning and automatic emergency braking since the 2017 model year. however other vehicles, like the 2019 chevrolet cruze, continue to offer safety features like forward collision warning with automatic emergency braking as options only on top trim levels.